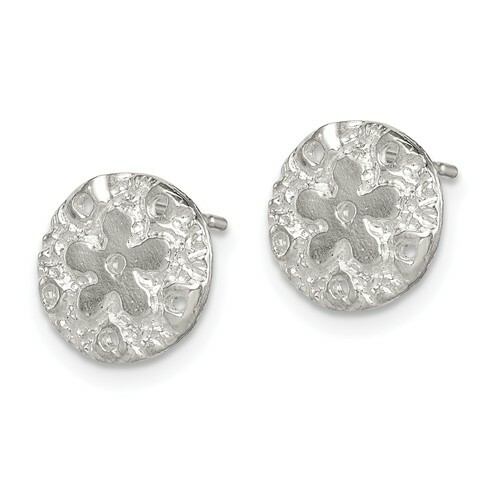 Sterling silver sand dollar miniature earrings have small holes along the border. Weight: 1.25 grams. Measures 3/8 inches tall. Import.